We have been asked by several facilities to review their blade performance and found they were not using the best blade for the job. A blade with too many teeth is not aggressive enough and slows the splitting process. A blade with too few of teeth is too aggressive and can cause bouncing and large bone chips. We have often found runout or variances in tooth height. In this case, you are cutting with only the highest teeth so you are not cutting efficiently. We have also found no offset in the teeth causing the blade to drag. 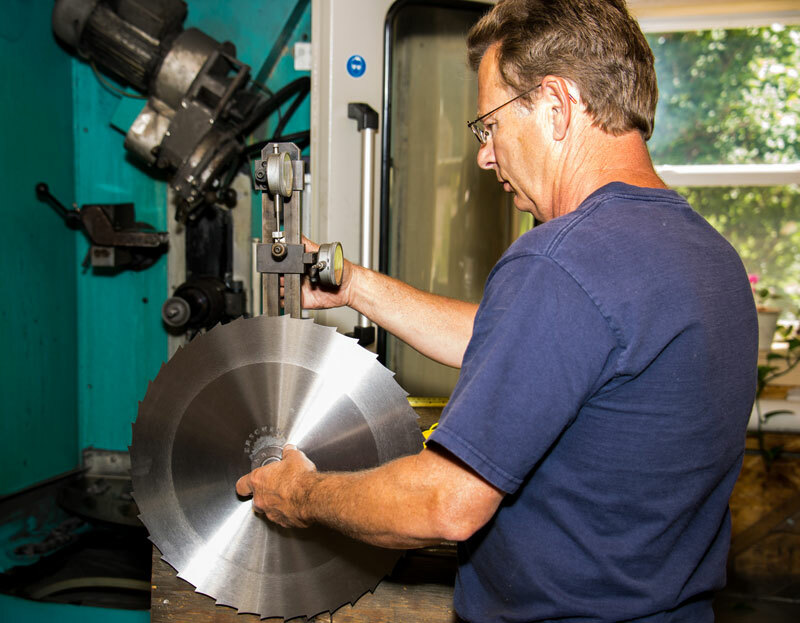 We offer test runs on your backsaw splitting operation. We will evaluate your present sharpening system and blade performance. Ultimately, you will be achieving a more efficient splitting operation. We supply packing crates and set up an easy to use shipping system. WE OFFER QUICK SERVICE WITH ONLY ONE DAY IN-HOUSE. We can then advise you on how to improve your system, if needed. HOME PRODUCTS SERVICES ABOUT US CONTACT Copyright © 2015 Erschen Saw & Tool. All Rights Reserved.